A total of 18 people have been arrested following a 16-day initiative to tackle domestic abuse in the North-east. Officers carried out the initiative as part of Operation Pine, which tackles all aspects of violent crime. The latest stage involved officers proactively targeting domestic offenders between November 25 and December 10, throughout North East Division. A total of 18 people were arrested in relation to domestic offences, many of whom were kept in custody for court the next day. 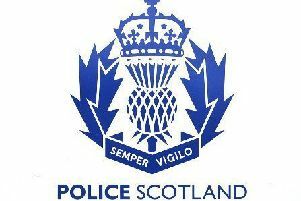 This includes a 47 years-old male from Aberdeen who was arrested and put to Court for a domestic stalking offence and a 52 years-old man who was found in the company of his ex-partner in breach of his Bail conditions. In addition 11 people were dealt with in relation to apprehension warrants. Police Sergeant Mark McRobb, who co-ordinated the operation, said: "The festive season is traditionally a time for families but it can also unfortunately be a peak time for domestic abuse. "It is a time when there can be increased strains because of mounting financial commitments, family tensions and larger intakes of alcohol. That is why every year Police Scotland takes additional action to tackle domestic abuse, sending officers out to target known abusers and support high risk victims. "Domestic abuse is completely unacceptable in our communities and will not be tolerated at any time of the year. We have listened to the needs of our communities and are committed to dealing with the issue with future operations planned. "Domestic abuse is a challenging area but it is a key priority for us. We are committed to supporting and encouraging victims in coming forward. We will work with our partners to support those who are most vulnerable as well as their families. "In addition we will proactively identify and arrest offenders and continue to monitor their compliance with any bail conditions or home curfews after they've been to court. Our focus will remain on raising awareness, supporting those affected and bringing those responsible to justice."